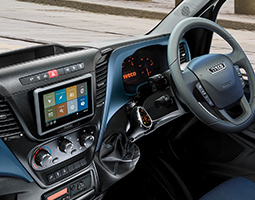 IVECO is taking the lead in developing vehicles that are ready for the more stringent 2020 regulations. 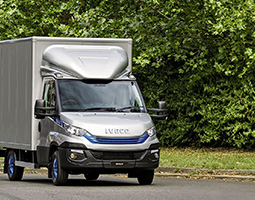 Their Daily Blue Power range won the International Van of the Year 2018 thanks to offering operators unlimited delivery in urban areas. The range includes three technologies and three vehicles one of these is the New Daily Euro 6 RDE 2020 Ready vehicle which has been tested and verified by an independent body in order to comply with the regulations that start from 2020, that measure emissions in real-life driving conditions (RDE) in addition to the laboratory homologation cycle. 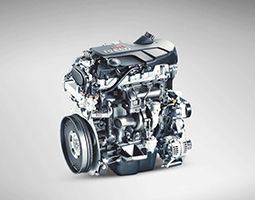 Powered by a 2.3-litre engine which was fully re-engineered in 2016, it now features IVECO’s advanced Selective Catalytic Reduction (SCR) after-treatment system that benefits from the brand’s 25 years of experience in this technology. Compared to car-derived engines, the F1A 2.3 litre engine offers a higher displacement, and a truly industrial engine concept which means greater durability and a naturally low real driving NOx emission. Select the variant that best satisfies your business and exploit the strength of the only LCV with truck-like steel chassis side members. With its self-adaptive shift strategy, the HI-MATIC 8-speed automatic gearbox engages smoothly the correct gear in less than 200 milliseconds. With the widest ratio spread, the engine will always be in the optimal speed. 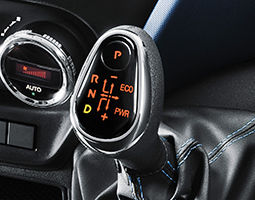 A manual gearbox is also available. The Daily Euro 6 RDE 2020 ready is also fuel efficient. It uses up to 7% less fuel compared to the current version thanks to its start&stop system and Michelin Agilis+ eco-tyres maximising fuel efficiency with no compromise on emissions. Choose the business partner that is the best fit for your mission, available with 136hp and 156hp and up to 380Nm with the class exclusive 8-speed HI-MATIC transmission. Choose from panel van, semi-windowed van, chassis cab, crew cab and chassis cowl.